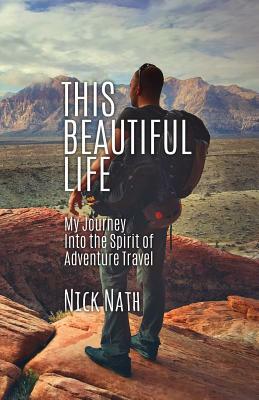 This Beautiful Life is about a collection of contemplative experiences that Nick has accumulated as he traveled to many different parts of the world. Come along on a journey of personal transformation, challenging terrain and never ending wander as we hike the most beautiful and remote corners of the world. This book is an immersion into nature, where challenges are overcome and creative travel is transcended resulting in ground breaking self-discovery. In the Himalayas of Nepal, perseverance, grit and spirituality pave way for the most alluring trekking experience. The plains of the African Serengeti with its abundance of wildlife showcase the grandeur of a fascinating civilization dating back to the beginning of mankind. From the glaciers of Patagonia to the apex of Half Dome in Yosemite, adventure travel has been life's greatest reward and biggest teacher. Serendipitous travel adds meaning to our life, influencing and connecting us to our core desires. It opens our minds and hearts gracefully to this world. Life becomes beautiful. Thank you for the gift of creative travel. The more I wander now, the more I am not lost. This book is about two journeys occurring simultaneously. First, there is the adventurous external journey that physically takes Nick to many different parts of the world. Then there is the internal journey - the one where curiosity, creativity, passion and heartbreak all become an identity for growth, exploration and ethereal awakening. Interspersed with flashbacks of a curious childhood, this book passionately weaves the story of maturation and never ending search for the unknown. Are you ready to establish an authentic relationship with life and fulfill your dreams?